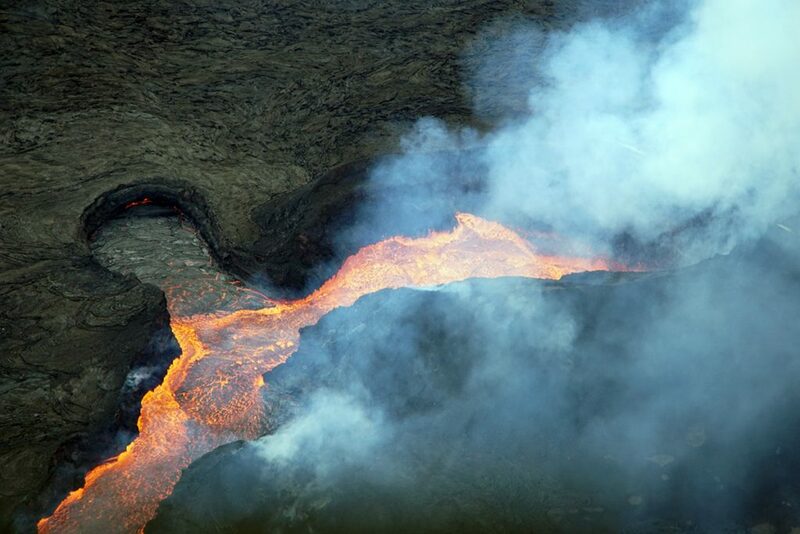 Fissure 8, from 3000ftI’m out in Hawaii to see the current lava flows. 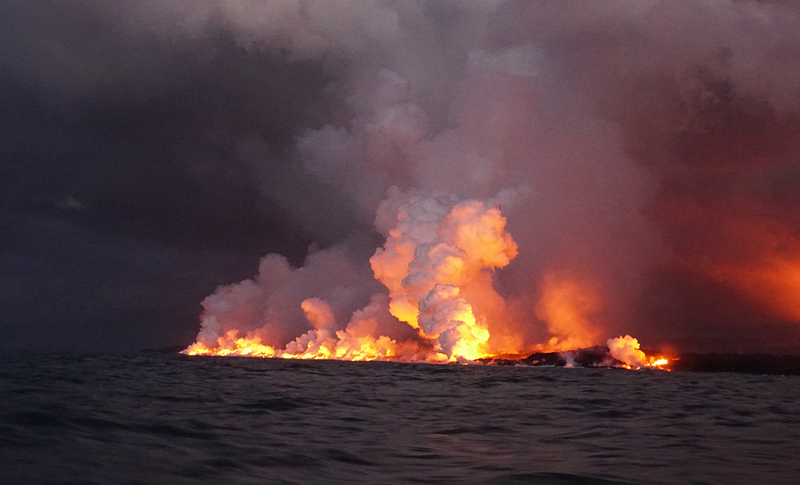 I started at 4:00am with a bouncy boat ride with Lava Ocean Tours. I had sacrificed a delicious lemon muffin to Poseidon, so the sea was reasonably smooth and we got a good view of where the lava river is hitting the ocean. There’s a lot of steam, so we were mostly seeing glows rather than actual lava, but we got a reasonable view of the intense glow where the main lava stream seemed to be entering. Sadly, Sane Captain Rick was observing the new 300 meter limit, so we only got fairly distant views, unlike my 2016 trip where Mad Captain Shane was taking us in really really close. Then I took a couple of helicopter tours, one of them a “doors off” tour. 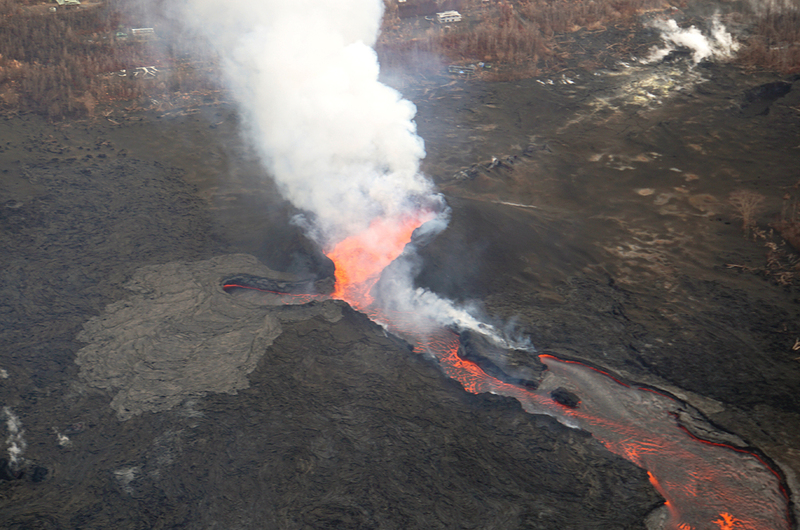 The helicopters are required to stay up at 3000ft, so we got good, but rather distant views of the current live flow from Fissure 8 and of the grayed-over lava river flowing down to the ocean. 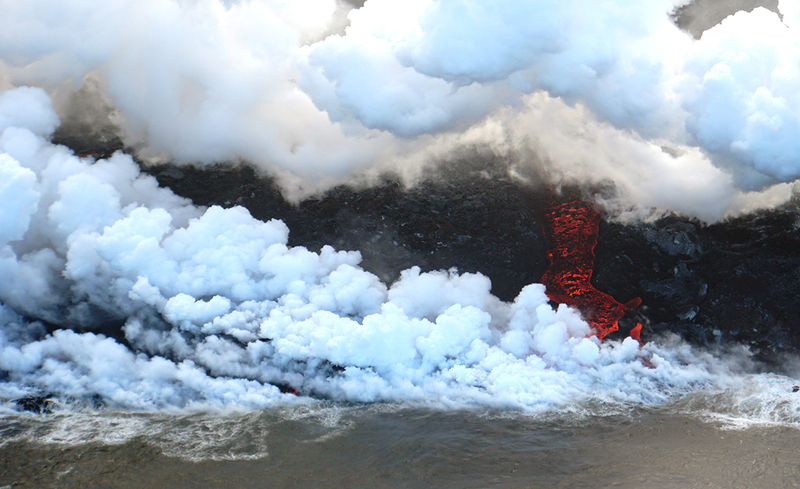 The current eruption is the most intense for many years, so if you want to see some good red lava, then right now is a great opportunity. It may continue for years, or it may stop next month, so seize the moment!